Former executives of Boydak Holding were sentenced to jail terms ranging from seven and half years to 18 years. Four executives of a major Turkish holding company linked to the July 15 defeated coup were convicted on Thursday in central Kayseri province, judicial sources told Anadolu Agency. 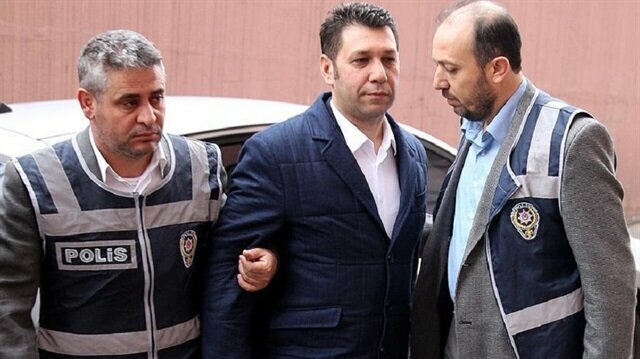 Former executives of Boydak Holding -- Memduh Boydak, Haci Boydak, Sukru Boydak and Mustafa Boydak -- were sentenced to jail terms ranging from seven and half years to 18 years, according to the sources who spoke on condition of anonymity due to restrictions on speaking to the media. The court also ruled in favor of the takeover of the shares of the Boydak Holding executives in the company and its subsidiaries. In August 2016, a Turkish court had appointed trustees to the holding for alleged ties with FETÖ, the group that staged the defeated July 15, 2016 coup. According to the Boydak Holding website, the family-based consortium was established in 1957 and has interests in furniture, textiles, chemicals, marketing, logistics and energy. Its 42 companies employ more than 14,000 staff. FETÖ, led by U.S.-based Fetullah Gulen, orchestrated the defeated coup, which left at least 251 people martyred and around 2,200 others wounded. The government also accuses FETÖ of being behind a long-running campaign to overthrow the state through the infiltration of Turkish institutions, particularly the military, police, and judiciary.